ARO Plank is a wall system composed of modular planks that assemble to create standard patterns, yielding a continuous, acoustically absorptive architectural finish. ARO Plank 2 has two faceted modules: Wide (A) and Narrow (B). Modules have angled edges and rotate 180 degrees for additional variation in pattern. 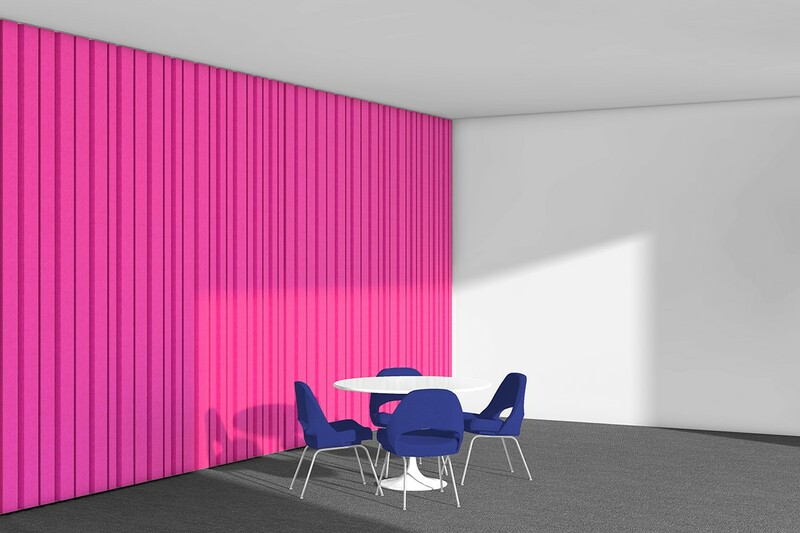 Composed of felt-covered acoustic substrate, this module is available in five standard configurations. The planks install quickly and easily with FilzFelt’s Interlock Mounting System and are available in 62 colors.